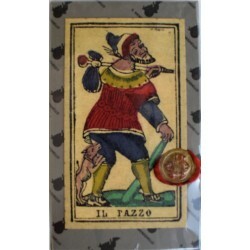 Used for the card game Tarocchino. 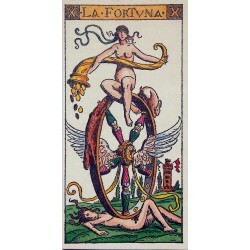 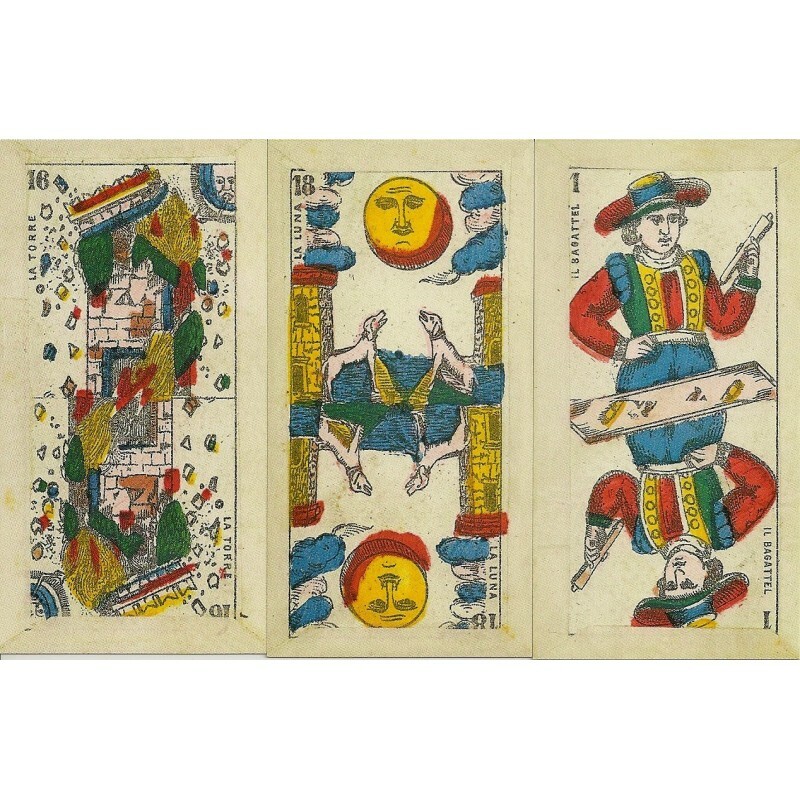 This is a reproduction of a deck printed by Bordoni circa 1880. 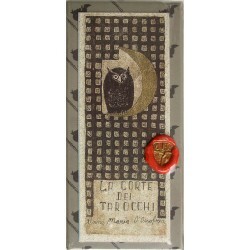 Printed as a limited and numbered edition of 2000 by Il Meneghello. 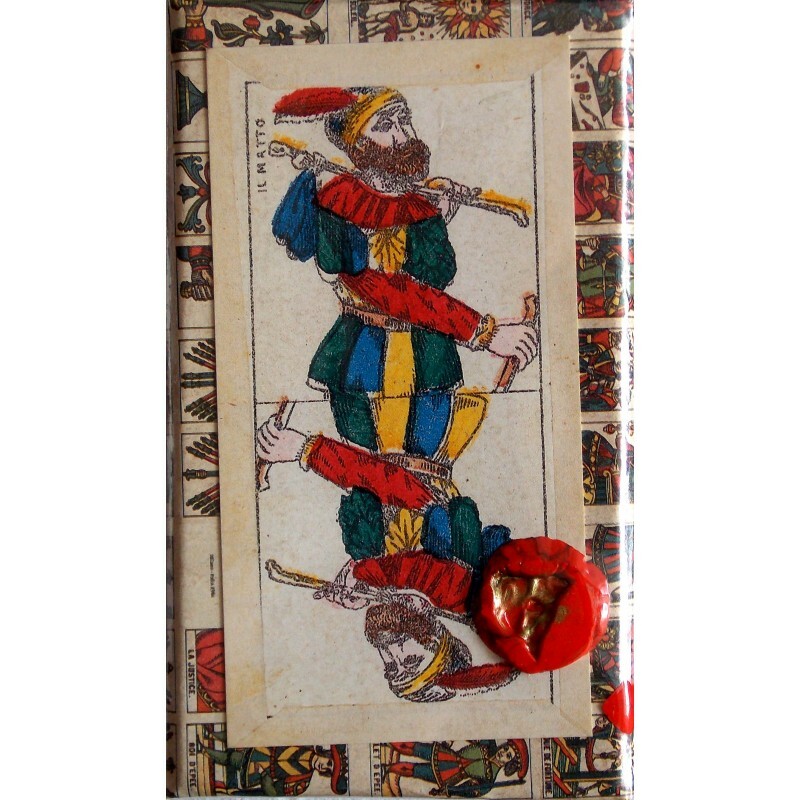 This deck it is one of the earliest known to have double figures(mirror reflections of the images on the cards) used for the card game Tarocchino. 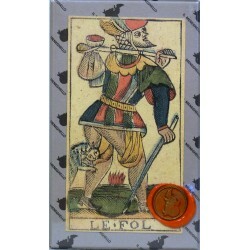 The cards came in a solid cardboard box with a wax seal of Il Meneghello.